The world’s first international study on homophobia in sport has found gay men in New Zealand were the most likely to play team sports in their youth and more likely than gay men in any other country to play rugby union (30%). However, Kiwi gay men were also the most likely to keep their sexuality secret in both youth and adult sports with many saying they feared bullying from teammates and discrimination from coaches and officials. The study’s findings have prompted calls for a zero tolerance approach towards discrimination and for the All Blacks and New Zealand Rugby to provide leadership on the issue. The “Out on the Fields” study is backed by seven international experts from six universities and it is the largest ever conducted on homophobia in sport. Nearly 9500 participants of all sexualities took part including 631 gay, lesbian, bisexual and straight Kiwis (155 were straight). It’s believed to be the first time this issue has been studied in New Zealand. The study focused on issues of sexuality in team sports and compared the six major English speaking countries. The actual research was done by Repucom (pro bono) but was initiated by the 2014 Sydney Bingham Cup (world cup of gay rugby) in partnership with other LGBTI groups including the Federation of Gay Games. Overall the study found Kiwi gay and bisexual men were more likely to experience discrimination and hide their sexuality than gay and bisexual women. The study also highlighted particular problems in team sports and school physical education classes. While gay men in New Zealand were the most likely to participate in youth team sports, this participation dropped much more dramatically than in most other countries when they became adults (78% participated as youth vs. 40% as adults). Many gay men cited negative experiences in PE class (1 in 3) and fears of discrimination (1 in 4) as reasons. 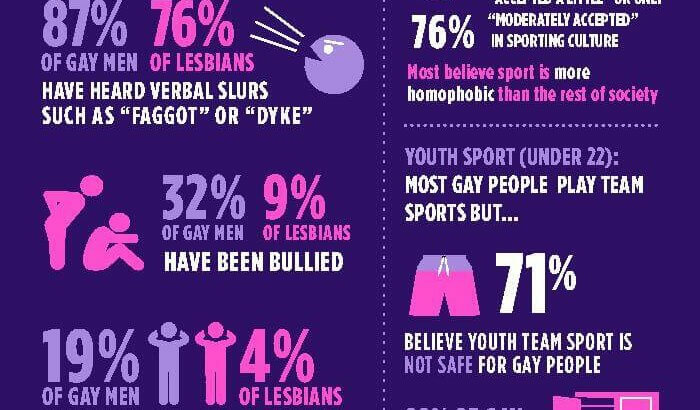 Meanwhile, more than half (58%) of all participants believed team sports is more homophobic than the rest of New Zealand society, while gay men were much more likely to believe this (69%) than anyone else. Former NPC rugby player Ryan Sanders agrees with Skjellerup that the All Blacks and New Zealand Rugby could play a leadership role in the same way as Australian Rugby. A commitment from Australian Rugby Union CEO Bill Pulver to tackle homophobia led to every major Australian sport doing the same at a joint press conference in April 2014. Sanders believes a lot of the fear of rejection might have been in his own head, reinforced by the homophobic behaviour. Homophobic language was the most common form of discrimination reported by participants in the study. “When I came out of the closet to my teammates after I retired we all just had a big laugh and moved on from the topic within 10 minutes. It wasn’t the big issue I thought it would be, but I was also a lot older. I’m not sure they would have reacted the same way if I had come out as a teenager but looking back I wish I had the courage to be open as it could have helped others,” said Sanders who started Haka Tours after leaving rugby and was named the 2010 Young Entrepreneur of the Year. Dr. Caroline Symons, from Melbourne’s Victoria University, was one of seven international experts who sat on the study’s review panel. Among other things, the panel assisted with the study designed, data collection methods and reviewed the final report. “Some LGB people can thrive in sport, but many others feel compelled to remain closeted to keep playing the sport they love, monitoring every word they say, to ensure they keep up the appearance of being heterosexual which is seen as the ‘normal’ way to behave. All this effort to hide their identity can distract from enjoying their sport and improving their performance. LGB athletes need to be supported by officials, coaches, teachers and also fans in order to feel safe to come out of the closet,“ said Dr. Symons. Dr. Grant O’Sullivan, also from Melbourne’s Victoria University, was another expert on the study’s review panel. He is also a former gay athlete. “The casual homophobic language such as jokes heard on the playing fields, in the locker rooms, in the stands and in the media can send the message that LGB people are not welcome in sport. Often this language is not meant to be hurtful but can be very damaging when heard by those struggling with their sexuality. Even more concerning is that these early negative experiences in school sport and PE can lead to LGB people avoiding sport for the rest of their lives and missing out on all the physical, mental and social benefits that can come from being active and part of a team. I think that PE teachers, in particular, need to be trained on ways to support and also protect LGB students because often the teachers aren’t sure of how to deal with bullying or they may worry about complaints from parents if they talk to students about homosexuality,” said Dr. O’Sullivan. Out on the Fields is the first international study and largest conducted on homophobia in sport. The study focused on issues of sexuality which is why LGB is used rather than LGBTI or LGBTQ. It also focused on team sports and the English speaking countries (USA, UK, Ireland, Canada, New Zealand and Australia). Global sports market research firm Repucom conducted the research (pro bono), while the study was initiated by organisers of Bingham Cup Sydney 2014 (the world cup of gay rugby) in partnership with a coalition of sports organisations, including the Federation of Gay Games, You Can Play, International Gay Rugby and the Australian Sports Commission. The study methodology and results were reviewed by a panel of seven academics from six universities including Victoria University (Australia), Penn State University, University of Massachusetts (USA); Brunel University London (UK); University of Winnipeg and Lavel University (Canada). Data was collected through an anonymous 10-15 minute online survey which included multiple choice questions and an option to submit more lengthy details of personal experiences. It was promoted through social and traditional media and by sporting organisations, professional athletes, corporations and government. Around 25% of participants were heterosexual.